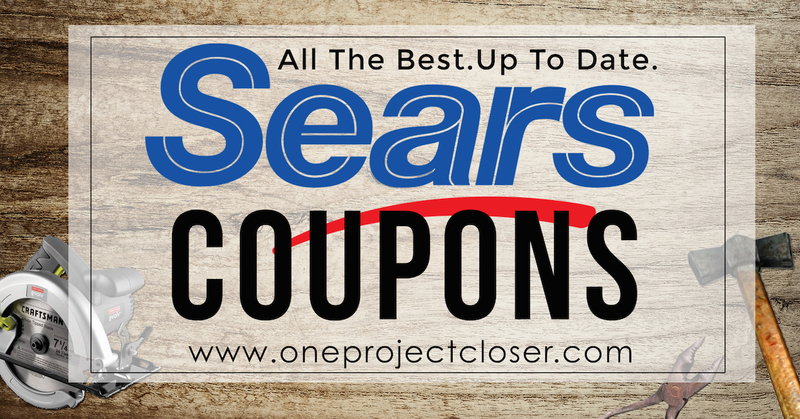 We update Sears’ savings and deals every week. Come back for more discounts! ALL DEALS: Savings at Sears.com! Home Heating Installation by a name you can trust. Sears Home Services installs new furnaces, heat pumps, and heating systems. Kitchen Remodeling by a name you can trust. Sears Home Services offers professional kitchen cabinet and kitchen countertop installation. Exterior Home Windows by Sears Home Services. New window installation and replacement services. Air Conditioning installation by a company you can trust, Sears Home Services. Cabinet Refacing or an entire Cabinet Replacement; you can trust SEARS with your home Cabinet project. SEARS® flooring is now available in multiple options including: carpet, tile, laminate, and hardwood. 12 months no interest! Layaway programs make it easy to fund a large purchase by spreading out the payments into small, manageable amounts. You can shop for virtually anything in-store or online. Just look for the layaway icon on the product page to see what items qualify. The Sears layaway program works by requiring consumers to make a down payment and subsequent payments every two weeks. Unfortunately, there is a $5 service fee (expect where prohibited by law) and a $10 cancellation fee for every new contract. Sears offers price match with 10% off the difference of any qualified item. You have to find a lower price (even sale prices) at any local competitor with the same branding and feature set. This applies to online purchases as well. Just include shipping, handling and delivery in your comparison. There are significant exclusions (of course). Price match does not apply to limited quantities, sales around Thanksgiving, typographical errors, and more. Click here to read all the fine print. Buy Online, Pickup In Store programs allow you to eliminate shipping charges while keeping the convenience of online shopping. You’ll receive an email confirmation when your item is ready for pickup and you can elect to have someone else pickup your order. After you arrive and notify the service desk, a 5 minute countdown starts. If you item isn’t ready in 5 minutes, you get a $5 off coupon. Sears credit card holders get some very nice benefits. Some of their best sales include an additional percentage off for card holders. For instance, Sears regularly offers 15% off appliances with an additional 5% off when you purchase with a Sears card. Often, they also include no interest for 12 months. There’s no membership fee, and you earn $1 everywhere you shop. Applications are available in store. Looking for more great coupons from other stores? If you are buying appliances, we also recommend checking out our Home Depot Coupon and, AJ Madison Coupon pages. These retailers frequently offer 10-20% off appliances just as Sears does. We also offer several sources for Lowes Coupons, although Lowes doesn’t offer the same online discounts as these other retailers.